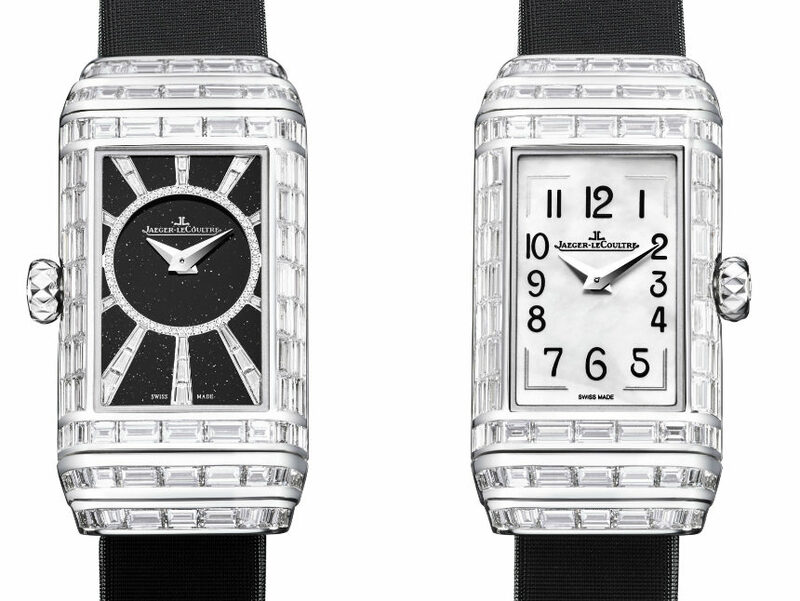 Jaeger-LeCoultre’s Reverso One High Jewelry takes us back to the days when wristwatches were originally invented for women, for adornment purposes. It draws inspiration from the first ladies’ Reverso models of the 1930s, a time when wristwatches were worn mainly by women. 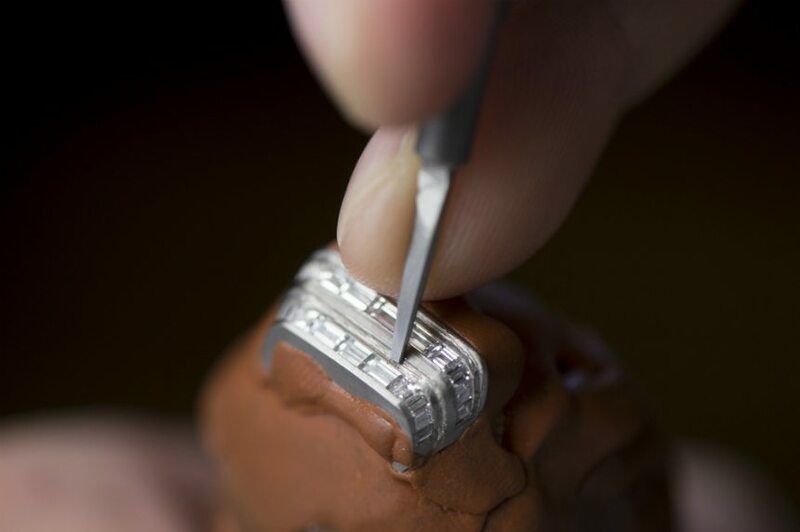 Since then, it is not just movements that have improved – and considering it is Jaeger-LeCoultre, there was not a lot of room for improvement – but so have setting techniques and diamond cuts. 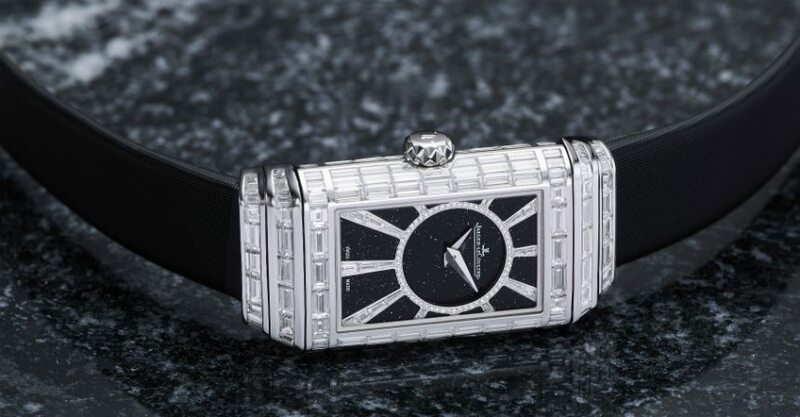 Even though jewelry from that period retains its value because of the Art Deco provenance, the jewelry watch is a far more well-crafted product today than it was in the ’30s. 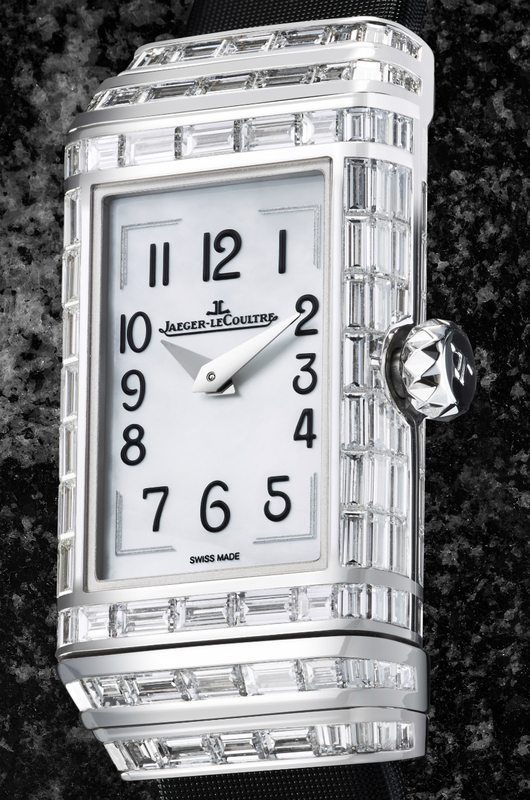 The Reverso has been an ongoing success story for Jaeger-LeCoultre since it was introduced in 1931 – for 85 years, it has been a bestseller and still represents the biggest-selling collection for the company, a feat few brands can claim. Consult any list of the world’s most iconic watches, and the Reverso will more often than not be in the top five, along with the Rolex Submariner and the Omega Speedmaster. It has an intriguing origin story: the flip-over case was created for polo players during India’s Raj, to protect the players’ watches from the rigors of the game in the days before sapphire crystals. The Reverso’s design is pure Art Deco, and the reversible case and carrier system are highly original and very specific, yet the model has been surprisingly adaptable to variations over the years. It has been ultra-thin, highly decorated, quartz, or complicated – with both tourbillon and minute repeater versions – and works for both men and women. 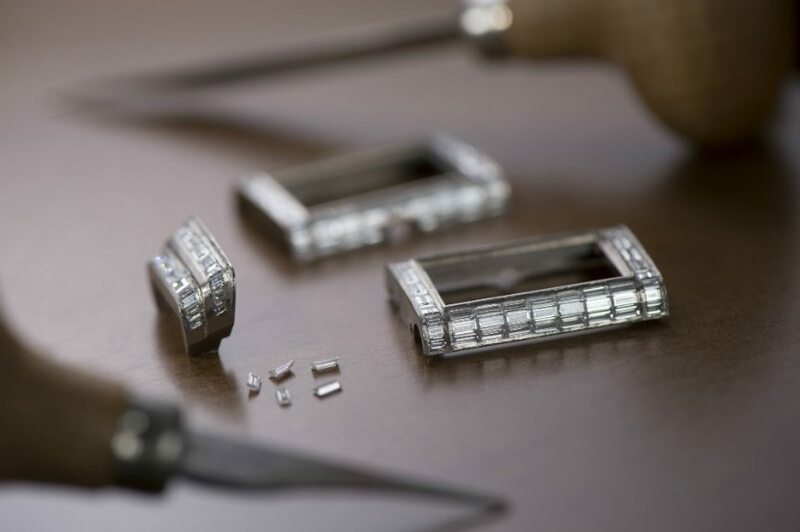 The Reverso has housed more than 50 different mechanical calibers over the years, which makes perfect sense, given that Jaeger-LeCoultre is the most prolific maker of mechanical calibers, with something like 1,200 different calibers to its credit. The design of the Reverso has changed little over the years. The case was redesigned to make the swiveling smoother in the ’90s, and the Squadra series offers the cases in a square version, but otherwise, the winning formula – the reversible case and carrier system – has been left intact. Milestone models have included the Reverso Grande GMT; Grande Reverso 986; Reverso Classique; Reverso Grande Complication à Triptyque; Squadra World Chronograph Polo Fields; and a chronograph with perpetual calendar and minute repeater. 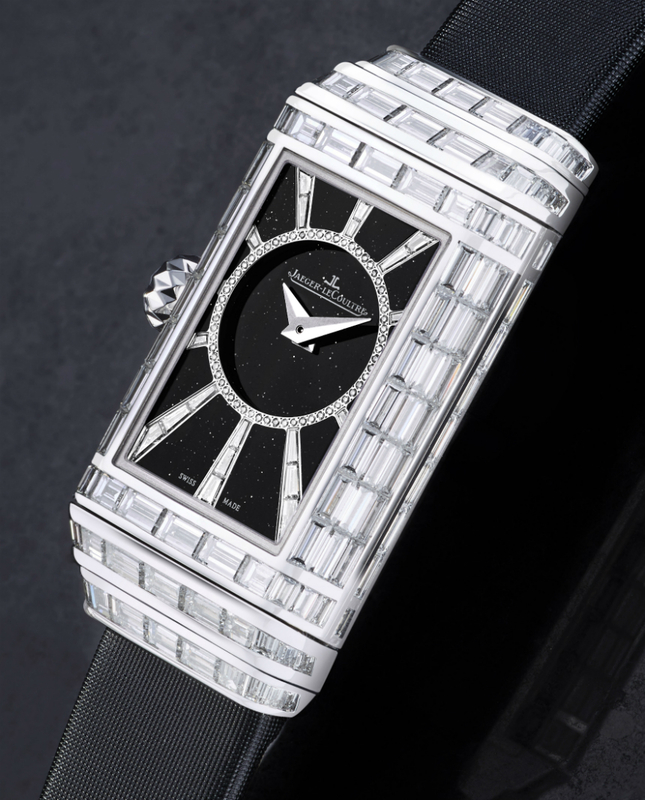 The Jaeger-LeCoultre Reverso One collection for ladies takes is place among the icons and, with in-house calibers, complications, and gem-setting, will become just as collectible. The collection includes the Reverso One Réédition, Reverso One Cordonnet, Reverso One Duetto Moon and now, Reverso One High Jewelry.